(CNS): For the first time going up against private sector bosses, a government entity has won an award for being a top employer. 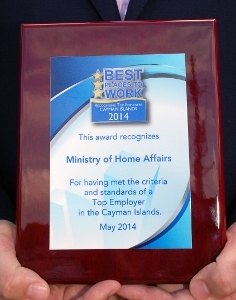 One of five winners in the ‘small business category’, the Home Affairs Ministry was recognised as one of the best places to work at the Cayman Islands Society of Human Resources Professionals' annual Top Employer Awards Gala last weekend. Now in its fifth year, employers are judged on the physical environment, work atmosphere, camaraderie, compensation and benefits, management practices, employee communications, performance management, learning and development, community involvement and diversity. Following the submission of the application, the organisation's employees are surveyed and how well the employees’ survey responses back up the organisation’s claims is a key contributor to its total composite score. A copy of the survey results will be posted on the society’s website, ministry officials said. Bush congratulated his team for helping the ministry earn an award on its first try. “This award is a testimony to our staff and I am proud to lead such an able team,” he said. (CNS): An aircraft flying from Havana, Cuba, en route to Panama City was forced to make an emergency landing in Grand Cayman on Thursday, according to aviation industry reports. The Copa Airlines Boeing 737-800, flight CM-219 with 115 people on board was close to the Cayman Islands when the crew received a wheel well fire indication. As a result, the plane diverted to Owen Robert International Airport, where the aircraft was said to have landed safely. Local emergency services found no trace of fire, heat or smoke and the Air Traffic Control gave clearance for the plane to leave at just after 1pm today, the airport confirmed. Officials said there was no disruption to local airport operations as a result of the emergency. (CNS) Updated: The former president of the UCCI accused of going on a spending spree on a government credit card to the tune of some $200k is back in Cayman after six years as a fugitive. However, when he appeared in court Thursday he was granted bail as a result of serious ill health. Hassan Syed (47) has been charged with five counts of theft, three counts of obtaining a pecuniary advantage and seven counts of obtaining property by deception. He had agreed to return to Cayman without fighting an extradition order after he was arrested last year in Switzerland provided he could get bail to allow him to receive treatment as heis fighting cancer. Syed's time in custody since his arrest in Europe last November has already taken a serious toll on his recovery for treatment of a tumour in his intestines. Crown counsel did not oppose bail in light of the medical condition when he appeared in court. “We have taken this extraordinary position of consideration due to his health,” the prosecutor said. The crown also briefed the court on the time the defendant has spent in custody and Syed's poor health in Switzerland, regarding blackouts and a serious loss of weight. In light of the need for regular check-ups, vascular medication, dietary supplements, medication for blackouts and daily monitoring of blood pressure, she agreed to bail under the strictest of conditions. The crown requested a surety of CI$400,000 and a security of CI$50,000. In addition, Syed’s Canadian and Pakistani passports have been surrendered. He is to sleep at the premises specified in the court order, abide by a curfew, report to the police between 8:30am and 9:30am and wear an electronic monitoring device. Syed’s attorney agreed to the conditions and Magistrate Grace Donalds ordered bail before transmitting the matter to the Grand Court for 20 June. Syed’s arrest and subsequent extradition came as the result of several alleged unauthorized transactions on the university’s credit card during his time as president. The highly publicized circumstances surrounding the investigation and charges that were eventually laid against him, included the suspect absconding from the Cayman Islands. He has been a fugitive of law since 2008. Syed disappeared shortly after claiming to be extremely ill that year and having taken a salary advance to pay for medical expenses. The court heard that he allegedly asked a colleague to wipe certain computer files clean and left for Jamaica. At the time of leaving, he was still employed as the university’s president, though not long afterwards he contacted the university by phone to resign from the post. However, shortly afterwards the finger of suspicion was pointed at the former university boss, when the Office of the Auditor General examined the university books and turned up a number of ‘financial irregularities’. It was also later discovered that in contrast to the resume Syed had tendered, he did not have a Doctorate Degree. The former university president was suspected of purchasing Tiffany jewellery and paying for extravagant weekends away on the government credit card, running up bills of around $200,000. After absconding, he reportedly turned up in Canada at the Toronto’s Centennial College a few months later. Having circulated his details to Interpol, in January the RCIPS revealed that Syed had finally been tracked down and arrested in Switzerland in November last year and was detained in custody there as Cayman began an extradition process. From the Shetty hospital and medical tourism to the new Dart hotel as well as the launch of sports tourism Bush accused the now premier, Alden McLaughlin of riding his gains as he said these were all policies developed and started when he was premier. Bush said the policy statement was almost a verbatim copy of his government’s policy and he was pleased to see the continuation of all of the things the UDP administration had started. “The present government is enjoying the early rewards for the bold action we took,” he said, as he listed achievements he claimed were made during the last government from the creation of the special economic zone to the success in overnight tourism which the government was now taking credit for. “They can’t say we didn’t do work that wasn’t successful,” Bush said, but he spoke about the constant criticisms that had worn his government down. He said the premier couldn’t keep quiet in his speech about the former government and what the UDP had done, but Bush emphasised the launch of medical tourism with the Shetty hospital and the efforts to diversify the economy as well as the Dart deal all of which he said he was proud of. He took aim at the premier for criticising the deal and said it was no worse than the one they were trying to get “with those people up in Frank Sound” as he said that was not going to be any better. “I got something what have you all got?” he asked. Raising his concerns about the impending civil service cuts Bush said people criticising government workers need to remember that Cayman did not get as far as it has without a good civil service. While he agreed there can be improvements he said selfishness from the people at the top of the service had blocked those trying to work their way up. He accused past civil service management of taking all the money for themselves when the wages were reassessed, leaving nothing for those at the bottom. Bush said that government’s 2.5% bonus announcement was another demonstration of how those earning the big money would be well rewarded by that when it would be nothing for those at the bottom on the front line who deserved it most. The former premier pointed out that it would not be easy to reduce the civil service as the private sector may be clamouring for cuts but they were always the ones that want more, calling for more policing and other government services. Bush pointed out that the constant criticisms of the civil service for those on the front line undermined moral when the huge majority of those at the bottom were pulling their weight as he urged the criticisms to stop and for people to be more grateful. Bush also criticised the UK for telling Cayman how to cut the civil service when he said that they had messed up their own country and were “now coming here to tell us what to do!” he exclaimed. The opposition leader also implied that the PPM government had attempted to borrow but the UK had flatly refused them. “They had a borrowing plan and the UK had turned down their request ….but we never heard about that,” he said. Bush said he was intrigued to hear that despite the claims they had gone to London with a borrowing plan though that appears to have been related to the last budget. “I am still waiting to hear from him (the premier) what I did to mangle the relationship,” he said, as he accused the current premier of constantly fighting with Stuart Jack during the 2005 to 2009 administration. Bush said he did not make the UK-Cayman relationship bad but he had stood up to the UK and the FCO when they wanted him to introduce direct taxation after the PPM broke the public management and finance law. “They thoughtthey had us conquered,” he said. Bush spoke about being called to London shortly after being elected to office and said he was told by the FCO to cut 500 jobs from the civil service and to put in property or payroll tax. “I said no BoBo…. you taking to McKeeva Bush,” the opposition leader recalled, adding that he was nobody’s puppet. He said if there was a lack of confidence in Cayman it was because of the now premier’s mistakes that wound up getting Cayman on the OECD black list. Bush said the premier now "had the audacity" to accuse him of losing investor confidence. The opposition leader said that ringing a bell doesn’t build confidence as he criticised the premier for making such a big deal of his Wall Street trip. “I had eight invitations to go ring the bell but I didn’t have time. I was ringing the UDP bell,” he added. Bush also took aim at government for not doing enough to help those at the bottom of the pile and about creating jobs (see separate report on CNS later today). The opposition leader said there was much more that needed to be done to plan for Cayman’s future and get people back to work. 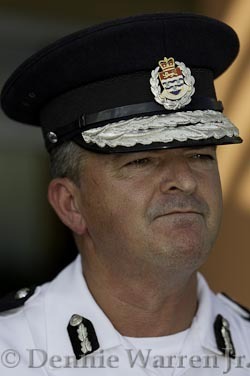 (CNS): Police Commissioner David Baines has been cleared of any wrongdoing in connection with his use of force during the apprehension of suspected armed jewel thieves following a New Year’s Day heist in downtown George Town. During the chase of the suspects Baines, who was coincidentally on the scene, smashed his own car into the getaway vehicle they were using. When the men got out of the crashed car and fled on foot, Baines continued his pursuit still in his SUV and ran into and over one of the suspects. Jonathan Ramoon sustained a number of serious injuries, including breaking his legs, hip and arm as well as internal injuries, and is still in a wheelchair. The senior officer who conducted an internal RCIPS investigation into incident and the force used has never been named. Governor Helen Kilpatrick has also reportedly reviewed the ODPP’s report, and has indicated that she now considers the matter in relation to the commissioner closed. All three men in the case are on remand at HMP Northward and have not yet answered the charges as legal arguments regarding the allegations continue. He also pointed to immigration improvements as well as the passage of the National Conservation Law and the Standards in Public Life bill, though many months have passed since their historic passage and neither law has actually been implemented. McLaughlin said that changes to the Animals Law to be addressed by legislators in this meeting would pave the way for the NCL to be properly enacted but he did not say when the much anticipated ethics bill will come on line. McLaughlin said that phase two of the immigration policy reform was underway and would focus on the work permit system. But again, he did not say when the next wave of changes to the legislation would be before members. 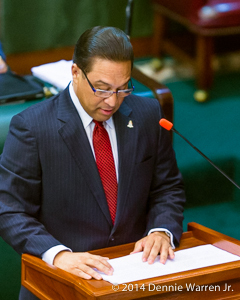 During his policy statement the premier said the PPM had lived up to its campaign promise to restore confidence in Cayman and his government would build on the “foundation of sound and responsible management” of the country’s economic affairs. He said the PPM had set ambitious but realistic budget targets last year, which were surpassed. Making a dig at the previous administration, he queried why the UDP was not able to improve revenue more quickly given the number of fees that were increased or introduced during its term. McLaughlin pointed to the “better money management” of the PPM that had built on the fees introduced by the UDP. He also claimed a reduction in unemployment as recorded by the ESO, though the local workforce is still facing significant challenges regarding employment. Reviewing the plans for the coming budget year, he said that the face of government was changing. “If there is one thing the global recession has taught us … we cannot continue to do things in the same old ways without courting disaster,” he said. “Change to reflect different times is inevitable and it is better for us to manage the change ourselves than to have it administered to us as bitter medicine by others,” he said. Focusing on the theme of “stabilize, prioritise, energise”, he said that would be government’s road map for the country as he claimed to have dealt with the first two in the first year and would deal with the third this coming year. He said he did not expect everyone to agree with every decision the government made but he asked people to get on board and help create an environment in Cayman where people are able to find jobs and raise the families in a happy safe environment. 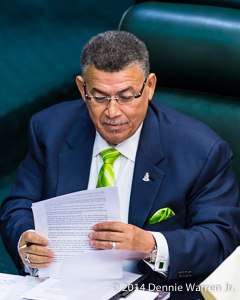 The debate on the government’s Throne Speech, Policy Statement and Budget Address will begin this morning at 10am with the opposition leader’s response followed by members’ contributions. McLaughlin said the House would be working until 7pm each evening until the debate was concluded and the Finance Committee had completed its scrutiny of the government’s spending in the detailed Appropriations Bill. See premier’s statement, throne speech and appropriations below. (CNS): A 30-year-old man was charged yesterday with wounding with intent to cause grievous bodily harm following a violent fight Monday nightbetween two men, who are related, at Oak Mill Street Windsor Park, Walkers Road. The suspect was also stabbed but was treated for his wounds and immediately released, while his 33-year-old relative remains in serious but stable condition at the George Town hospital where he is expected to make a full recovery, police said. The victim was stabbed to his left upper back and the right side of his neck and received multiple lacerations to the left and right cheek as well as superficial cuts to his hands. (CNS): The department of environmental health has circulated another invitation for people to submit tenders for the tyre pile at Mount Trashmore. As the government begins the slow process towards a full integrated rubbish solution the DoEH is attempting to tackle some of its most pressing problems in the short term. Attempts to sell off the tyres in the past have failed and the latest effort asks for a “nominal price” which could be as little as $1 for someone to tackle the problem. Although the developers behind the so called Ironwood golf resort project in Frank Sound have said they would take the tyres to shred and use as fill for that proposed golf course, one of the directors admitted at a recent press conference that until the development started they would not remove the tyre pile. However, government is looking for a more immediate removal to clear space and address the potential fires and so it is not clear if ironwood could solve the issue. 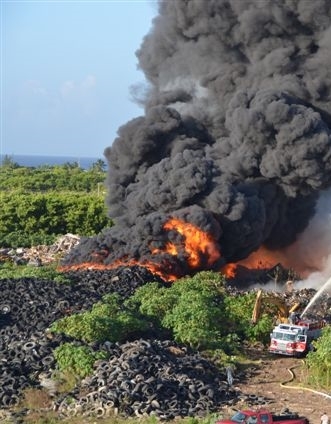 The tender document request someone to process on-site or off-site and remove all the “Used Tyres” accumulated on Grand Cayman, where most of the tyres are, as well as Cayman Brac and Little Cayman. With the Ironwood development proposal entirely dependent on the agreement with government on the east-west arterial road extension a deal which like the dump solution is also subject to the procurement process under the fiscal framework for responsibility in the local public finance law, the golf course project should it go ahead will not do so any time soon. The tyres are whole, unprocessed or semi-processed some still have rims others have been separated and some are also shredded. Some of these tyres, the RFP states may require special technical capabilities to cut, transport and remove from the sites. The used Tyres are in scattered piles of various sizes on the sites, which covers several acres and the DoEH said it does not know the quantity and government won’t make any guarantee about the amount. Officials said only companies or individual tenderers that comply with all applicable local laws including business registrations, health, pensions and any other regulations will be allowed to bid and the bids should be inclusive of all costs necessary to conduct the project. (CNS): The government has begun its search for a qualified consultancy firm to create both a national waste management strategy and an outline business case to drive the procurement of the garbage solution for the landfills in George Town and the Sister islands. In the details posted on the Central Tenders Committee website the ministry with responsibility for rubbish is looking for proposals from consultant teams, which will include a financial consultant and a solid waste management expert who will lead the team to contract with government as the prime consultant. Whoever wins the bid is expected to prepare the new Waste Management Strategy and then the Business Case as required by the Framework for Fiscal Responsibility (FFR) before the dump itself goes to tender. The full package of relevant documents will be available for collection from next Wednesday at the Government Administration Building and the deadline is noon on Wednesday, 16 July. Those wishing to bid will need to leave a $5,000 cheque bond. The strategic outline case, which was prepared by the steering committee, was made public last week by the ministry and marked the first step on the slow and costly journey to find the private sector partner to finance and assist government find a strategy for the future of waste-management and address the ever growing George Town dump. According to the SOC, government will spend some $4 million over the next two years on fees and administrative costs to meet the terms of the FFR and the procurement process. Once a partner and waste-management expert is identified, dealing with the dump and setting a new waste-management system in place is expected to cost more than $100 million. Government has said it is looking for a system that will cost no more to run each year than it currently spends on collection and management. It is not clear what that will mean for the public and how future garbage fees, which government has a poor track record of collecting, will be charged.